Hey guys, I hope you’re all having a great weekend. It’s that time again sit back, relax, and enjoy another installment of The Impact. Kelly Sue DeConnick and Stefano Caselli on Avengers Assemble. Just announced on Friday Marvel released this teaser for Avengers Assemble by Kelly Sue DeConnick and Stefano Caselli. What I am most looking forward to is DeConnick’s take on Spider-Woman, who is a character I have wanted Marvel to wrestle away from Brian Michael Bendis for awhile now. 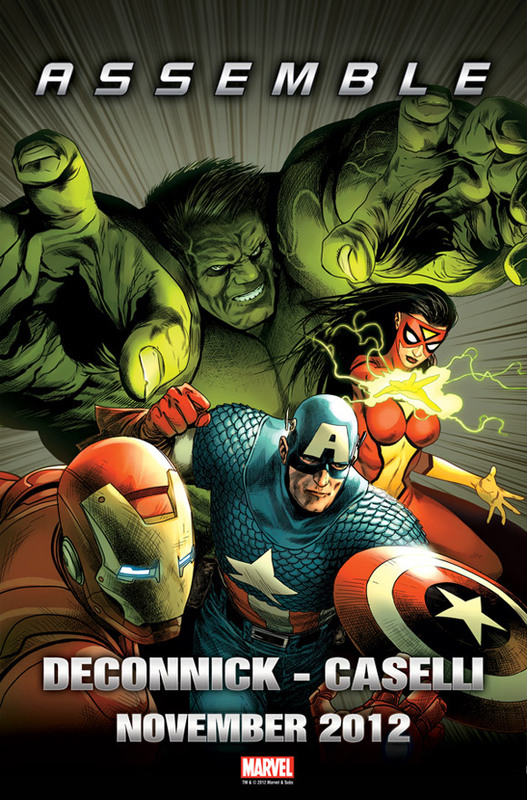 Beyond that details are very scarce, DeConnick and Caselli’sAvengers Assemble launches this November. 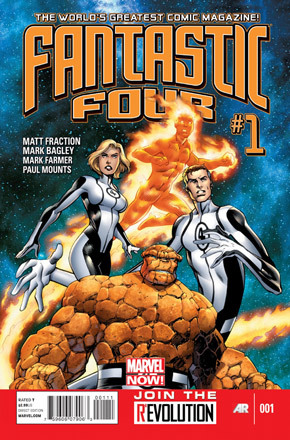 Fraction Talks Fantastic Collaboration with Bagley and Allred for Fantastic Four and FF. 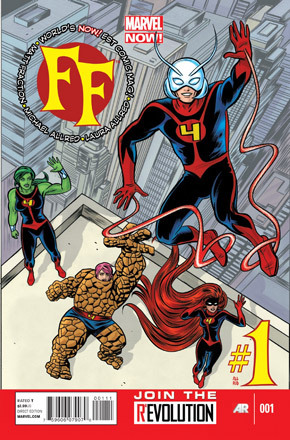 Matt Fraction spoke with USA Today once it was confirmed that that he and Mark Bagley would be taking overFantastic Four and Mike Alllred would be joining Fraction on FF. In Fantastic Four Reed, Sue, Johnny, Ben, and the kids, Franklin and Val will be taking a year-long vacation across all of space and time. While they are away (the year-long trip will only be four minutes Earth time) someone will have to look out for New York, that is where the FF come in. Each member of the Future Foundation will be hand selected by each member of the Fantastic Four. Ant-Man is Reed’s choice, She-Hulk is Ben’s, the Inhumans’ Medusa is Sue’s and Miss Thing is a new character, a Lohan-esque celebutante in a Thing suit of armor Johnny’s pick after he forgets that he is supposed to pick someone. Man I’m just so happy these books exist the insanely creative possibilities are so exciting and I can without question say these two books are the two I am most looking forward to. 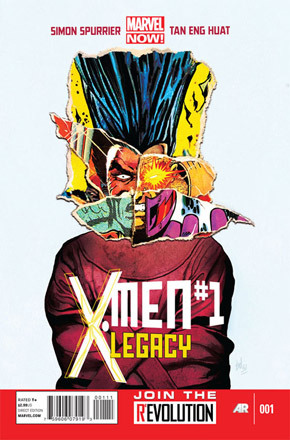 First Look at Spurrier and Eng Huat’s Legion focused X-Men Legacy. Courtesy of IGN. 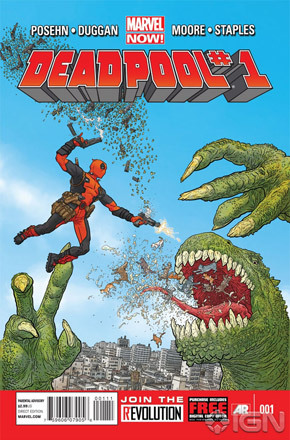 Check out this beautiful Geoff Darrow cover for Deadpool #1. Although I think I am more excited to see the Tony Moore interior art. 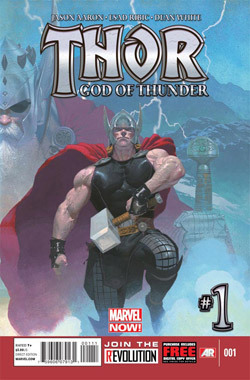 Jason Aaron and Esad Ribic Confirmed for Thor: God of Thunder. No one will ever need to convince me to try a book written by Jason Aaron and this Thor book is no different but while talking withNewsarama, Jason Aaron convinced me two times over. I do flash back and show a young Thor in action, but he’s actually just one of three Thors that I want to focus on. This first story is an epic tale that plays out over the course of thousands of years. So we spend time with young Thor in the Viking age — the young, hotheaded god of the Vikings, who loves to come down to Midgard and get into trouble. In the present, we see Thor the Avenger on a journey that takes him to the far corners of space, interacting with all sorts of new space gods and wondrous new locations.And then we also see old King Thor, who’s the last king of Asgard, thousands of years in the future, where something has gone horribly, horribly wrong. Linking all these eras and Thors together is one villain, an all-new character, who is basically, at least initially, a serial killer of gods. He’s a guy with a serious axe to grind against all immortal beings in the cosmos, and he’s going around doing his best to kill them all off, one at a time, as brutally as possible. That villain’s story unfolds over the course of all these different eras. He starts as a serial killer of gods, but by the end, he has become something even more frightening. Esad Ribic’s take on Thor’s costume doesn’t seem as barbarian like as the previous released image by Joe Quesada and I personally think Ribic’s take is much better. Kieron Gillen and Greg Land Suit Up For Iron Man. 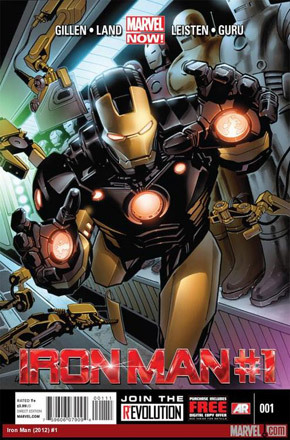 Earlier this week new Iron Man spoke with Marvel.com in the interview he broke down his central theme for the book. The story will focus on him questioning things about himself and trying to find out exactly how the universe ticks, what’s this all about and why he does this anyway. It’s going to be one of the major themes of the book going forward. For as long as I’m on the book it will be one of the two major themes I’m working on, like onUncanny X-Men [with] the theme of power and the corruption thereof.The second major theme will involve Tony’s relationship with women, which after seeing how he wrote Namor inUncanny X-Men I know will be interesting. The more I began to think about the relationship between Bruce and Hulk, the more I began fantasizing about what it would be like to take the core concept a little more “back to center” like we did with Daredevil, the more intrigued I became. …Hulk is about what happens to us when we lose control — or when we try to exercise too much control. 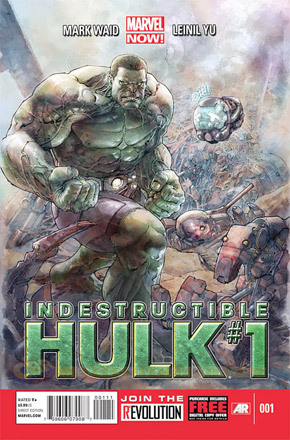 The stories we’ll be telling treat the Hulk less like a time bomb and more like a targeted WMD — and he’ll be moving throughout the Marvel Universe, exploring (on Banner’s behalf, for reasons you’ll see in issue #1) certain corners of the universe — Jotunheim, The Negative Zone, Lemuria. Hulk and Banner have a mission — and it will take them far and wide. This definitely feels like take on the Hulk I can get behind, Waid has outdone himself on his Daredevil run and I think he will really bring it on this book as well. 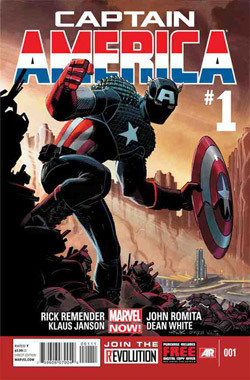 Ifanboy caught up with Rick Remender to talk about his upcoming run on Captain America. In the interview Remender talked about the pressure of following Ed Brubaker and his desire to step away from the WWII/Bucky/ Winter Solider elements since Brubaker has covered them so well. His opening arc will be about 10 issues long and focus on a reimagination/revitalization of Arnim Zola. What I’m doing is spending a lot of time in the Lower East Side of Manhattan in the 20s and 30s, showing Steve grow up. The first arc is 10 issues, and it’s called “Dimension Z.”I don’t want to give away too much, but a big portion of it is Cap dealing with Arnim Zola in Dimension Z. I’m trying to take Zola and do with him, what we did with Apocalypse over in Uncanny X-Force. Where we take what’s there, re-imagine it, build a new mythology and really expand Zola, and try and build Zola into a very, very big and important character. The other half of it is going to be a lot of flashbacks to a young Steve Rogers growing up in Depression-era Lower East Side, and getting to know his family and his friends, and how this 98-pound weakling became such a tenacious, strong person; focus on the fiber and the integrity of who he is, and really develop that for the first time. I’m really happy to see someone else write Captain America, I loved a lot of Brubaker’s run but towards the end you could tell he was ready to move on and focus on his creator owned work.All in all the Marvel Now! initiative is sounding more and more impressive with each passing day, what do you guys think? 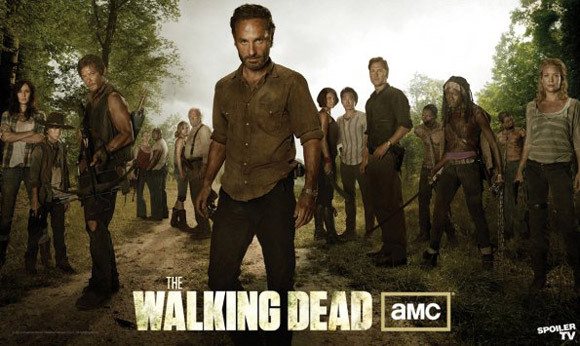 Tony Moore Files Second Lawsuit against Robert Kirkman For The Walking Dead Co-Ownership. The legal battle for The Walking Dead was escalated even further this week when Tony Moore filed a second law suit against writer Robert Kirkman. Originally seeking unpaid royalties Moore now seeks legal status as co-authorship of The Walking Dead, as well as his other collaborations with Kirkman, Brit, Battle Popeand two unpublished series. The rhetoric in the paperwork has clearly been elevated Moore calls Kirkman “a proud liar and fraudster who freely admits that he has no qualm about misrepresenting material facts in order to consummate business transactions” While speaking with The Hollywood Reporter Robert Kirkman’s attorney Allen Grodzky responded,”he is never going to be able to show fraud, plus the statute of limitations on co-ownership has passed,” adding “Also, he’s not a co-owner.” This is going to be a a long legal battle that’s not going to be pretty so get ready comic fans. In other Walking Dead news, this week it was confirmed that Kirkman will be at New York Comic Con. Los Angles Walking Dead fans on August 28th at Dark Delicacies there will be a signing event for the second season DVD/Blu-Ray in attendance will be David Boyd (director), Emma Bell (Amy), Evan Reilly (writer), Hunter Via (editor), Nathan Gunn (editor), Jute Ramsay (editor), and Bear McCreary (composer). 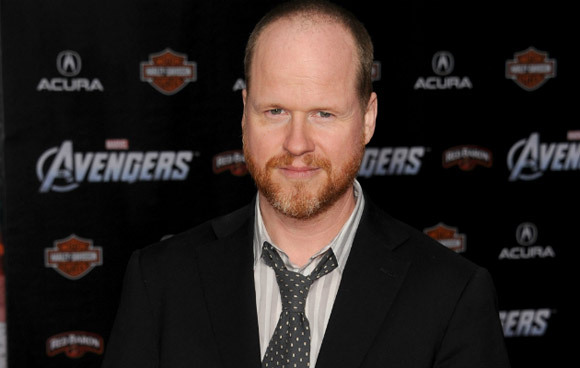 Joss Whedon Signs on to Write and Direct Avengers 2 and Develop New Marvel TV Series. Fans of Joss Whedon and Marvel films received some great news this week when it was announced that Whedon will write and direct Avengers 2, oversee Marvel Studios Phase 2, and develop a Marvel Universe based TV series for ABC. I am really happy to hear Marvel and Disney were willing to make Whedon the right deal to get him to come back. I have to admit I am almost more intrigued to see what Whedon will do with a Marvel TV series than I am with Avengers 2. Well there you have it guys. Enjoy the rest of weekend and comeback next week for an all new installment of The Impact.